It’s early November 2017, and things are finally starting to quieten down at Pat McIntyre HQ! It’s been an amazing 10 months or so – my busiest yet, with 56 wonderful weddings and 5 still to come before the year is out. Things feel very strange at the moment, as it’s Tuesday and I have no gigs or events coming up this weekend. With a weekend in Prague (for a wedding, ironically) and a weekend in Mallorca aside, the last time I had a “weekend off” was at the start of February – and that’s because I was just getting back from New Zealand. So a busy year indeed, and with a bit of downtime, it’s time to catch up on some tasks that have been pushed down the list of priorities – starting with my blog. Wedding music is one of those things that often gets left to the last minute. Choosing songs for the wedding ceremony is tricky – there’s the bridal entrance to think about, the signing of the register and the recessional (married couple exit). Later on there’s the first dance – so that’s potentially five or six songs to choose, each of which will help set the tone for your big day and reflect your personalities. 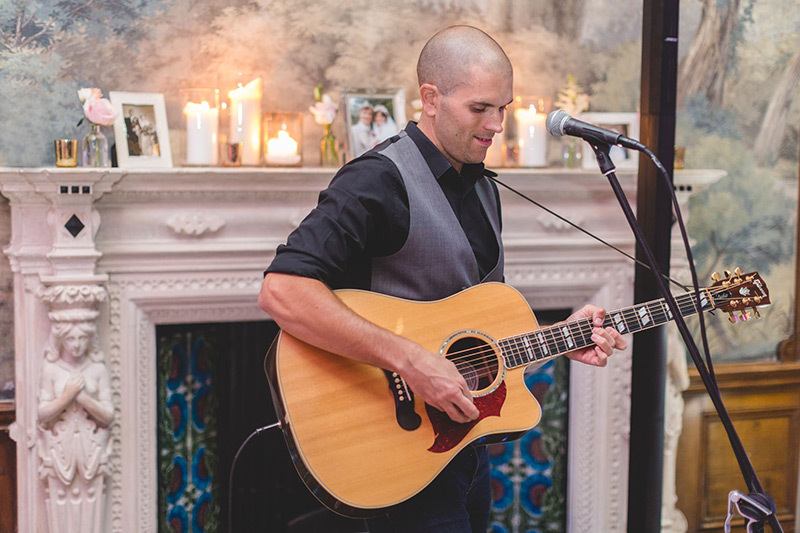 Photo courtesy of Jodie Hurd PhotographyAs a wedding musician, I get asked all the time which songs are popular picks at weddings, and way back in January last year I posted my ‘Top 10 wedding ceremony and first dance songs‘. However I also get asked about rare/more unusual choices, and I fully had the intention of writing a follow-up to that blog post. Well, better late than never, so here goes! Here’s a selection of ten songs requested for me to play by couples that are a little out of the mould of the ‘typical’ wedding song. They may be slightly outside-the-box or just rare gems that I’d never heard before. Hopefully these tracks may give some inspiration to the bride or groom-to-be searching for something a little different – maybe one of these will be your perfect wedding song! I was introduced to this brilliant song by my good friends Christopher and Victoria back in 2011, when I had the privilege of playing at their Dorset wedding. I instantly fell in love with this song and I’ll often slip it into a drinks reception or pre-wedding ceremony playlist. Keb’ Mo’s soulful voice, the chilled acoustic guitar work and brilliant lyrics make it a winner in my book. A song many will know from the film ‘Guardians of the Galaxy’ but one that was new to me, I’ll be honest! When I heard the intro I was a little thrown as to how to make this into an acoustic first dance song, but then I heard the lyrics and fun vibe of the song and thought, yes, I get it! This actually works really well acoustically, and is a great upbeat start to the evening as a first dance, or even during the wedding ceremony itself. Jack Johnson’s music is well known and a popular choice at weddings – “Better Together” is the main song that springs to mind. However, this track from his 2008 album Sleep Through The Static is one that is maybe less known and it’s one that I love playing! Subtle, heartfelt and just beautiful, I think this is a sublime wedding song. Very obviously a wedding song, but one that probably not many will have heard of. The lyrics are certainly perfect for the big day, and I played this as a bridal entrance song once – a really lovely choice for the ceremony. Introduced to me earlier this year by couple Hannah and Dan, I was blown away by this piece of songwriting genius. As far as I’m concerned, this song should be just as popular as All of Me by John Legend, but is still a little under the radar. I think this track is just brilliant – have a listen and judge for yourself! Ok, not an “unusual” song by any means – but it’s surprisingly rare to hear this at a wedding, other than maybe during the disco in the evening! I played this during the recessional (married couple exit) at a wedding ceremony earlier this year and it makes a really good choice with just acoustic guitar and voice. Upbeat and fun! This song brings back fab memories of Amanda and Iwan’s amazing wedding at Fforest in West Wales. Originally by McFly, band member Tom Fletcher and his wife Giovanna recorded this cute acoustic version, and it works brilliantly as a song for the wedding ceremony, drinks reception or as a first dance. One of those songs that everyone knows, but no-one really thinks to have at a wedding! Originally recorded by the Ronettes in 1963, this version by the Ramones is maybe better known, and it can work really well with just acoustic guitar. I played this as a first dance and it worked a treat. Not to be confused with the Jason Mraz song of the same name, this track by The Script is definitely one to check out. A lovely chilled acoustic track, with perfect lyrics for the wedding ceremony or first dance. And finally, this little gem from American outfit Bright Eyes. Not a song I know a lot about, but the heartfelt lyrics and delicate delivery make it a beautiful choice, particularly apt for the wedding ceremony. Thanks for reading. I hope this blog post was of some use – if one of these makes your list, let me know! Best of luck with choosing your perfect wedding playlist. 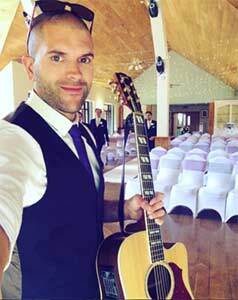 Pat is a singer and guitarist from Bristol, UK, specialising in live acoustic music for weddings. This entry was posted in News, Wedding Guitarist Blog and tagged guitar, inspiration, music, song, songs, wedding, weddings by Pat McIntyre. Bookmark the permalink.